Sumpter - A woman in Oregon forgot to latch her front door and awoke to find a 70kg bear in her living room. The Baker City Herald reports that the bear knocked over a bookshelf but didn't harm the 78-year-old woman. 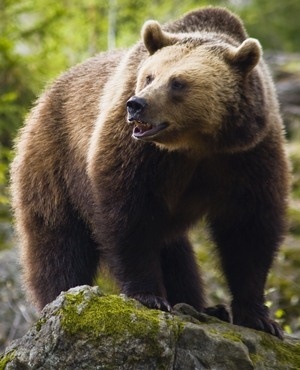 The 3-year-old male bear was trapped and euthanized late last week by state wildlife officials. Authorities have determined it was the same bear that was shot in the face in September by another startled resident who found it on his front porch. It's the third bear trapped and killed around Sumpter - population 204 - since September 23. Brian Ratliff, a wildlife biologist with the Oregon Department of Fish and Wildlife, says bears may be coming into more contact with humans because a dry summer limited their supply of berries.